It was in the year 2015 when Magento 2 first came into recognition. It promised to be way more optimized and improved version of the Magento 1 platform. The new additional features along with the improved performance ratio make users go gaga over this server for their easier and faster shopping experience. Magento 1 platform is going to be supported officially with the security patches till November 2018 even though without any new features added to it. It means you are likely to make some major changes to Magento store and that’s when you need to go for Magento Migration and upgrading to Magento 2. But why? Let’s find out. Magento has already settled the sun on Magento 1 in January 2018 and starting with the swindling support and release of the extensions in the current Magento store. So, if you are trying to migrate to Magento, then you are already invited to head for the Magento 2 version now. For making e-commerce manager’s day, the developers are likely to make bespoke CSV for any of the merchant. It helps in filling you the CSV columns for attributes, titles and even recommended products, which you need to be aware of. For better check out, you might need to migrate to Magento 2. It comprises of assumptive guest checkout, simplified form of two steps and automatic email recognition of the guest users or registered ones for streamlined checkout. The shipping rates are only available once the full details are completed for sure. Billing address is needed when it started with shipping details. As your time matters a lot, Magento 2 comprises of few improvements for making job of administering site simpler and efficient. It helps in providing you with improved product creation. The product creation tool will help you to add products quickly and accurately to store. So, you can add products 4 times faster in the Magento 2. Magento is known to add robust data grid view to the latest version of Magento 2. This grid helps you to customize the attributes without any help from a developer. Each administrator helps in customizing data views for matching individual requirements. This will lead to clean and uncluttered interfaces, helping you to see the data you need. It helps in adding an ability to filter data depending on enabled attributes in the data view. While Migrating to Magento, you can always enjoy improvement in the admin navigation. It makes the admin interface a lot clearer for your use. Menus are going to be more organized than before to help you find pages and functionality, in a simpler version. These improvements can always lead to some smaller learning curve alongside quicker productivity for the administrators. Magento 1 was designed for single admin user for manipulating data single time. This was quite troublesome for the bigger sites with multiple administrators. Therefore, Magento 2 came into being with added safeguards for product data. It will allow various administrators to work on product-based data simultaneously. It helps in making teams more efficient and allows keeping store’s items up to date. Trying to add videos from YouTube or Vimeo are now going to be a quite simple option and supportive with the help of Magento 2. This will help the owners to merchandise their items in a proper manner and safeguard the business growth to a great extent. With the help of new Magento extension, you get the chance to pick image of your color, own choice and text. Make sure to choose options, which will represent your website in the best manner possible. Each one of the options on store is well vetted by the talented Magento team. It will ensure that all your add-ons are easy and also of good quality for the developers to install later. It helps in improving availability rate too. 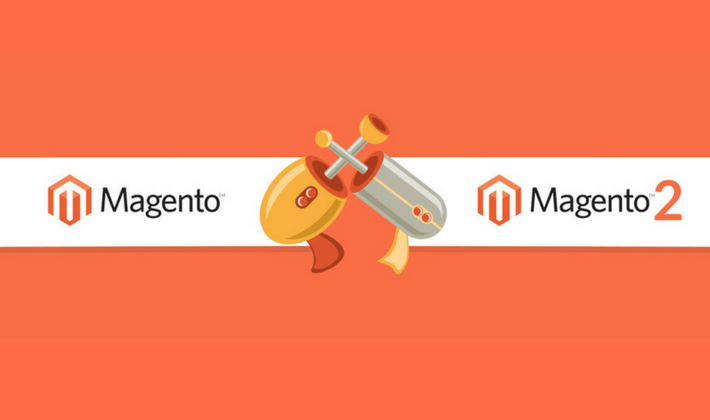 When compared to the Magento 1 platform, the 2 Magento development Service is likely to achieve a whole lot of greatness other than looking amazing. Communities can now easily handle around 50,000 orders on an hourly scale. And for the enterprises, they have the liberty to handle 90,000 orders per hour. So, right now, orders are just going to be flying off rails, warehouse, shelves and what not! These 10 promising reasons are enough to prove the importance to migrate into Magento’s latest version for a better entrepreneurship position. Magento 1 is not in the house right now as it has been taken down from January 2018 as mentioned already. So, going for this latest Magento 2 version is a clever task to consider.